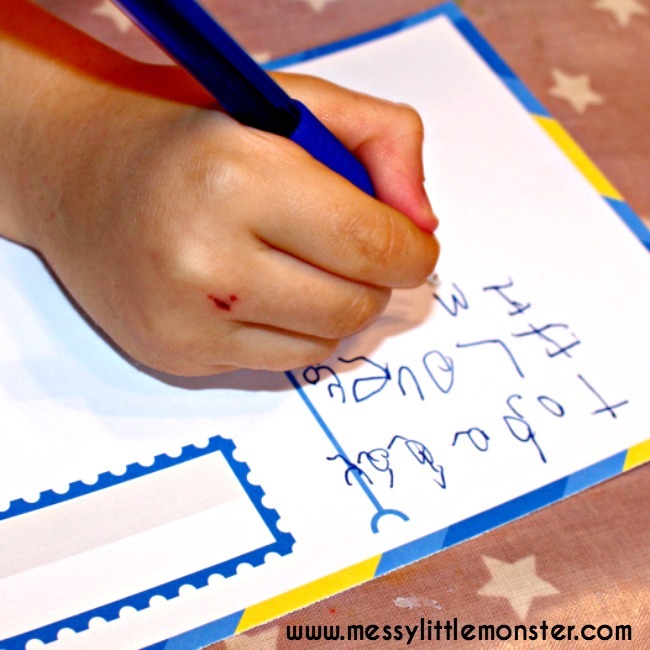 Encourage early writing with our Free printable postcards. 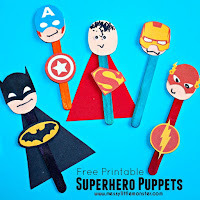 Kids will love to write special notes to family and friends to make them smile. A simple act of kindness inspired by the story 'The Kindness Elves' by Anna Ranson and Benjamin Byre. 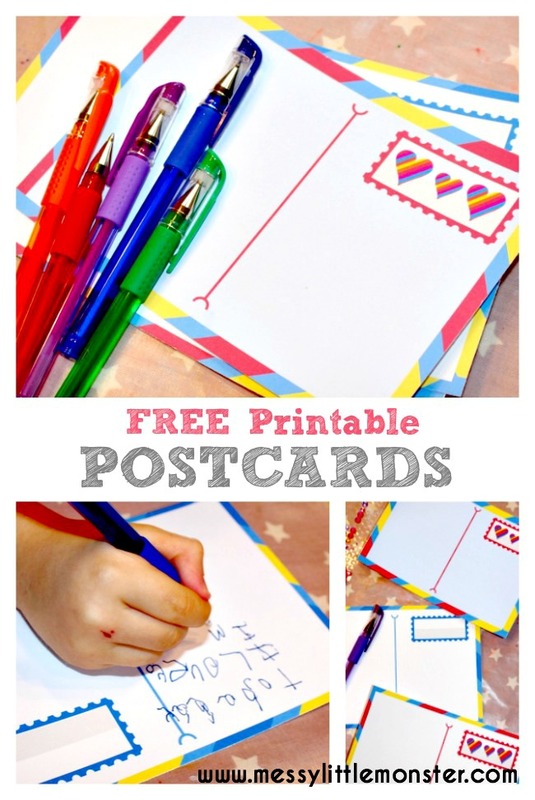 Writing special postcards would be a lovely activity idea for Valentines day or Mothers day. 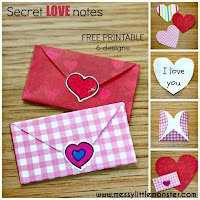 You may also like to surprise someone with some tiny envelope heart notes, by filling a printable gift bag or by making one of these DIY gift ideas. 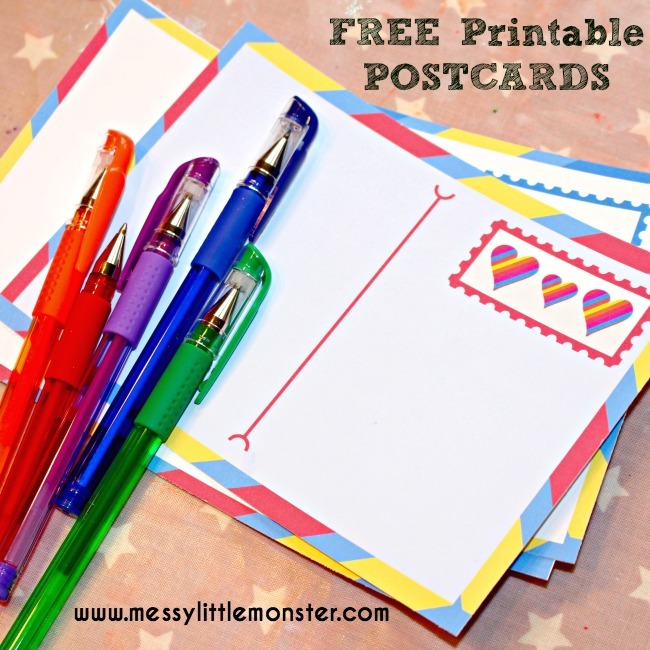 These free printable postcards can be used for writing notes to family or friends anytime of the year to make them feel special. 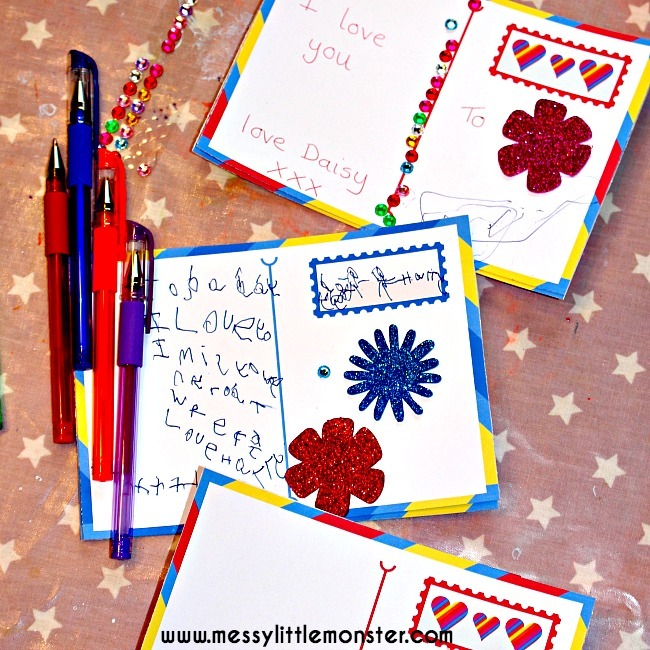 We write ours after reading the story 'The Kindness Elves', but they would also be great to write and give out for valentines Day or Mothers Day. "In the clouds not too far above your home, live the teeny tiny kindness elves who spend their days making special kindness potions. One day they discover they need the help of some special children on a very important kindness mission!" 'The Kindness Elves' is a beautifully written and illustrated book. 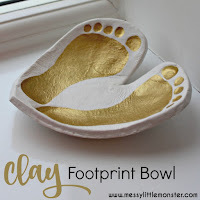 It introduces children to the joy that showing acts of kindness can bring. Throughout the story the kindness elves leave little notes suggesting simple act of kindness for the children in the story to try. It uses everyday examples that young children can relate to. Inside the book you will find a secret kindness recipe which you can use to mix up your own kindness potion. Then it's your turn to put the message from the story into action. What little act of kindness will you try first? You could visit an elderly neighbour, look out for a lonely child in the playground or bake cookies as suggested in the story. 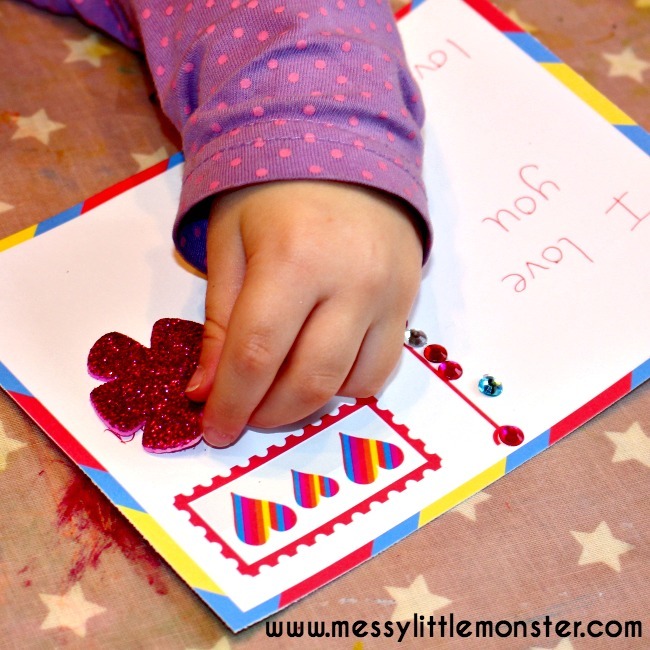 The kindness elves leave the children little postcards to thank them for being so wonderful. We decide that for our first little act of kindness we would like to write our own postcards to family telling them how loved they are. 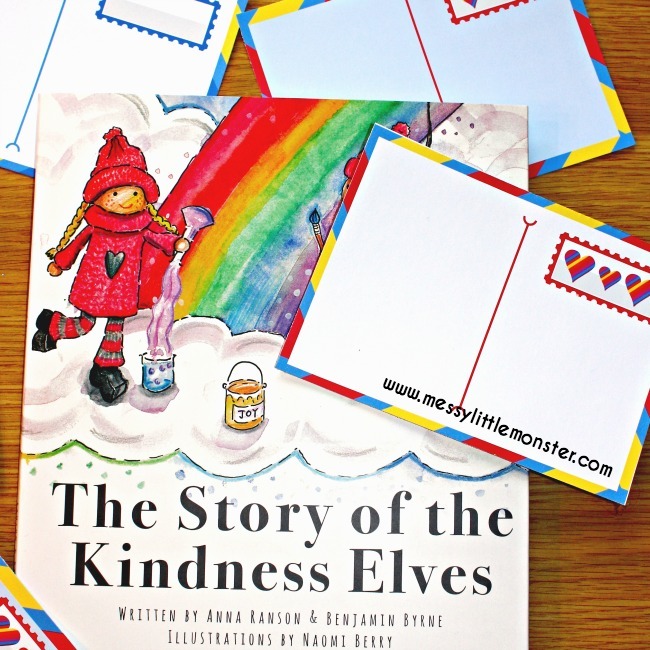 Another fun idea would be to buy your own kindness elves and use the printable postcards to write notes from the elves. I would advice printing the postcards onto card. 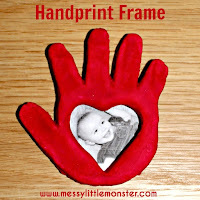 Once printed cut them out and think about a special message you would like to write. 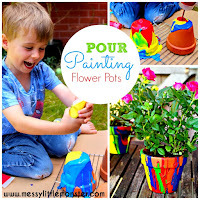 Younger children can join in by using stickers and drawing pictures. Harry (aged 5) and Daisy (aged 2) were really proud of their postcards and it was a great activity for encouraging Harry to write. Receiving the postcards made the people they were written for smile. It was lovely for the children to see how their little act of kindness was really appreciated. Adding artwork or drawings to one side of the postcards would be a fun addition. 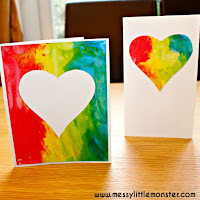 Printed hearts would look effective, mess free painting would be perfect for younger children, or you could even turn the postcard into a cute keepsake with this fingerprint poem. This is very cute! And I love the idea of teaching the kids about kindness! Thank you Arianne, The kindness elves is such a lovely book for teaching children about kindness and we loved making and sending our postcards.